Photo courtesy of Virgin Atlantic. Sustainable Aviation Fuel (SAF) may seem like a contradiction in terms, but this is the aim of the aviation industry, chemists, biochemists and engineers worldwide. Indeed, according to the International Air Transport Association (IATA), more than 132,000 commercial flights have been powered by sustainable aviation fuel since the first commercial flight in 2008. IATA is wholeheartedly behind SAF. As its website explains, “aviation has no near-term alternative to liquid hydrocarbon fuels, as electric commercial aircraft are unlikely before 2040. Therefore, Sustainable Aviation Fuels will be the only energy solution to mitigate the emissions growth of the industry in the medium term.” Airlines have already achieved most of the accessible fuel economy improvements (1.5% since 2009), through initiatives such as single engine taxiing, winglets on aircraft and modified flying styles. The prize is enormous for anyone bringing a cost-effective, sustainable solution to market. IATA estimates that annual spending on aviation fuels in 2018 will be USD 140 billion, with less than 0.04% or USD 500 million spent on SAF. As Robert Boyd, IATA senior manager, Aviation Environment, said at a recent meeting in Birmingham, UK, only four commercial airports (Los Angeles, Calif., Bergen and Oslo, Norway and Stockholm, Sweden) have a regular supply of sustainable aviation fuel (Jet A or Jet A-1). Brisbane and Geneva are expected to come on stream in 2018. The next step for aviation is to achieve carbon-neutral growth, matching demand for air travel without increasing the carbon footprint of the whole industry. This target is captured in the “wedge,” which shows how the aviation industry (aircraft operation and ground-based activities) has been reducing the rate of growth of carbon emissions over the last 15 years — despite enormous growth in passengers and flights — and plans to reduce its actual carbon generation over the next 30. The aviation industry cannot simply wait for the electrification of land transport (particularly passenger cars) and then sweep up all bio products for use as aviation fuels. That is not sustainable. A significant amount of research and development work is taking place in California and the United Kingdom, thanks to tax and other incentives. However, commercialisation is taking place globally. Raw materials differ significantly, as do the chemical and biochemical routes to jet fuel. “Sustainable” does not necessarily mean bio-derived — such as bio-ethanol, or natural oils from algae or (nonfood) plants. Many companies are looking at municipal solid waste (MSW) or industrial waste gases as a potential source of carbon, which can be upgraded to products that can be blended with Jet A (in the U.S.A.) or Jet A-1. One such company is carbon-recycling company LanzaTech, founded in New Zealand in 2005 and now based in Chicago, Ill., U.S.A. It is the top-ranked science-based company in the 2018 CNBC Disruptor list and has been the “Hottest Company in the Advanced Bioeconomy” for 2017 and 2018, according to Biofuels Digest. Founder and Chief Scientific Officer Sean Simpson began the company developing microbes that convert waste carbon monoxide from industrial processes into ethanol. The waste gases can come from steel manufacturing, refining, chemicals manufacture or biomass gasification, including the gasification of unsorted unrecyclable MSW that would otherwise be landfilled or incinerated. LanzaTech built and operated demonstration facilities in China and Taiwan converting steel mill off gases to ethanol. In Japan, the company has successfully demonstrated the conversion of unsorted MSW to fuels and chemicals with Japanese chemical company Sekisui. The first commercial plant came on-stream in May 2018 with an ethanol capacity of 48,000 metric tonnes per annum (MTA). In Belgium, a second facility (62,000 MTA) is under construction with the world’s largest steel company, ArcelorMittal, and will be operational by 2020. In India, LanzaTech is working with Indian Oil Corp. to convert refinery off gases from their Panipat Refinery at a 35,000 MTA facility to be operational in 2019. These plants all produce ethanol and other chemicals, but the conversion to aviation fuel has been demonstrated at LanzaTech’s Freedom Pines Biorefinery in Georgia, U.S.A. LanzaTech has worked with Pacific Northwest National Laboratory (PNNL), a U.S. Department of Energy Laboratory, to develop the so-called alcohol-to-jet (ATJ) process. Synthetic paraffinic kerosene (SPK) was successfully generated in 2018 from both waste gas ethanol (Lanzanol), from one of the Chinese demonstration plants, and grain ethanol. As a result, ASTM D7566 was revised to include ethanol as a 56 valid feedstock for “Alcohol to Jet” or ATJ SPK used at up to 50% with Jet A.
ATJ is one of five approved routes to SAF utilising three technologies (Fischer-Tropsch chemistry, as used in GTL production and hydroprocessing are the others). In July, LanzaTech won a grant of GBP 410,000 (USD 531,360) to partially fund an ethanol to jet facility in the UK, using ethanol from a variety of feedstocks, including industrial emissions. They have also received a USD4 million grant from the U.S. Department of Energy for similar activities in the U.S.A. 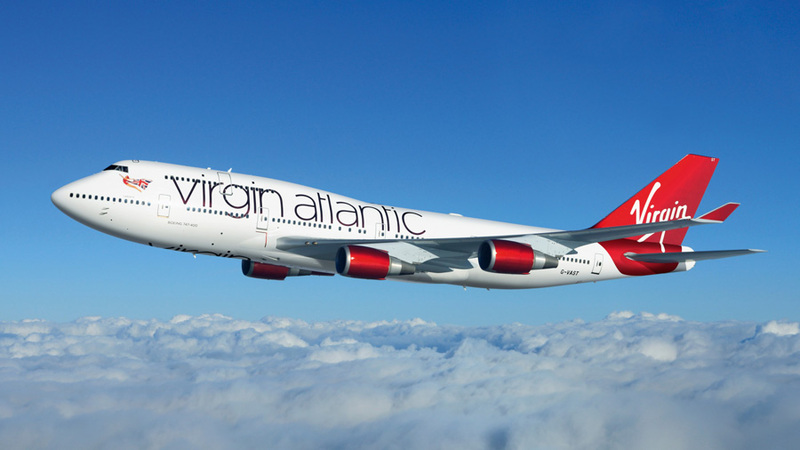 In October, Virgin Atlantic flew the first commercial flight from Orlando, Florida, U.S.A., to London, UK, using recycled waste gas from the LanzaTech-PNNL project, ushering a new era for low-carbon aviation. Of course, ethanol to hydrocarbon fuel is only one possibility. Companies with good ideas have already gone to the wall because they concentrated only on fuel. Richard Mills, Boeing’s strategy director for Europe, emphasized the requirement for integration by describing a project under construction in the UAE, the Integrated Seawater Energy and Agriculture System. A fish farm provides enriched water to stimulate growth of salt-tolerant plants that are then sustainably harvested to provide biomass for fuel production. Future projects could support mangrove swamps to additionally provide coastal defences. Other projects will make profits from the chemicals they produce. There are lessons to be learnt from experience, says Martin Hopkins of High Torrs Ltd., a UK-based consultancy. Hopkins’ career began in oil refining and waste, before he moved into construction and then developing, funding, building, managing and (unfortunately) closing incinerators and gasifiers designed to utilise MSW and construction waste. But there is no doubting the positive attitude in the industry. At the meeting in Birmingham, Shell and BP, members of most of the major airline alliances, Boeing and Airbus, were all represented, as well as the UK Government. With this high level of interest, there is hope for the future.